From the splendor of Prague to the Gypsy violins of Budapest, you'll treasure every moment of this memorable Danube River cruise. Enjoy three nights in Prague with guided sightseeing as well as time to explore this marvelous city on your own. 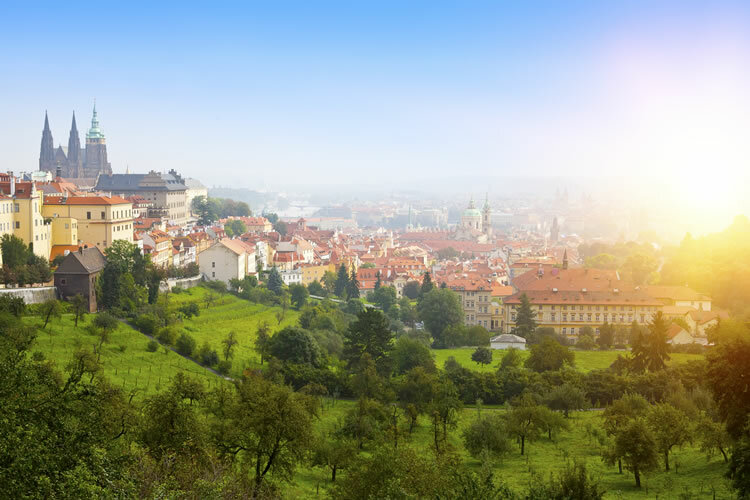 Discover the Hradcany Castle grounds, wander through Prague's Jewish Quarter, shop for hand-cut crystal, savor authentic Czech dumplings, stand in Wenceslaus square where protesters demonstrated against Communism, or visit one of the many churches. Then drive to Nuremberg and set sail for medieval Regensburg, Passau, Vienna, and Budapest, with guided sightseeing in each city. Sail through the fascinating Main Danube Canal and witness the scenic beauty as you cruise past quaint towns. Attend a beer tasting, tour Melk's splendid Benedictine Abbey, and experience the music, art, culture, and historical sights in romantic Vienna—a memorable holiday!! Travel to Prague where you will be met and transferred to your hotel. Enjoy free time to explore the Golden City and its surrounding countryside. Consider sampling delicious plum dumplings and traditional Pilsner lager beside the Vltava River. Take time to mingle with the locals, watch street performers in Wenceslas Square or browse the market stalls at Charles Bridge. In the evening, you might like to attend an optional folklore dinner Show, sampling traditional Czech cuisine in an authentic Prague setting. Classic Excursion: Take a guided city walk to visit Hradčany Castle Grounds; see St Vitus Cathedral, and Old Town’s Astronomical Clock. The morning is free to explore Prague on your own to enjoy the stunning architectural beauty of the city. You might choose to join a guided optional excursion to reveal the secrets of Prague as your expert local guide takes you to Charles Bridge and Malá Strana—two of Prague’s most romantic and picturesque spots. This afternoon, board your Suite Ship in Nuremberg and enjoy a dinner on board. Start the day with a morning stretch with your Avalon Adventure Host, and dock in Roth for a day of fascinating excursions. Classic Excursion: Choose a guided tour of Nuremberg’s medieval architecture, gilded fountain, Gothic cathedral, and Kaiserburg Castle, or, take a guided tour of the historic Nuremberg Rally Grounds—used by the Third Reich. Discovery Excursion: Enjoy an Onboard Lecture about the Main-Danube Canal—linking these two rivers to make a vital connection enabling navigation between the North and Black Seas. Classic Excursion: Join a guided city walk of Old Town to see the Altes Rathaus (Old Town Hall) and Porta Pretoria—built in 179 AD as the entrance to Castra Regina fortress. Discovery Excursion: Later, indulge in a Beer Tasting on board. This evening, enjoy live entertainment after dinner as you cruise toward Passau. Join a full day guided optional excursion to Salzburg—the city of Mozart—or a full day guided optional excursion to the picturesque Bohemian town of Český Krumlov. Sail to Linz this afternoon, or join your ship after your selected full-day excursion. Enjoy a free afternoon to linger in Linz. Take a bicycle from the ship and cycle along the Danube, or follow one of Linz’s many nature trails for a bird’s-eye view of the city and river below. Enjoy a coffee or a cocktail on the Sky Deck as you sail through the picturesque Wachau Valley to Vienna. This evening, you may choose to attend an optional excursion to a Royal Waltz Concert for an unforgettable evening of music in an elegant hall. Classic Excursion: Take a guided tour of Melk’s magnificent Benedictine Abbey to marvel at its frescoed ceilings, statues, incredible library, and ornate pipe organ. Discovery Excursion: Join your Avalon Adventure Host for a Morning Hike through Melk’s beautiful countryside. Join a Guided Optional Excursion to Schönbrunn Palace—a Habsburg Empire summer home for 300 years. This afternoon, enjoy free time to take a tram to visit Austria’s Prater amusement park or one of the many museums nearby. You may also decide to borrow a bike from the ship to explore the streets and squares of Vienna, or ride along the banks of the Danube at your leisure. Later, relax on board with live entertainment as you sail to Budapest. Classic Excursion: GVenture into the Habsburg empire this morning on a guided city tour of Vienna’s gilded landmarks. See the Imperial Palace complex—the winter residence of the Imperial Family, the historic Vienna Opera House and stunning St Stephen’s Cathedral. Take free time to enjoy Budapest’s famed thermal baths. You can also take a scenic hike in the hills above the Danube. Take time to explore the city’s cafes, pubs, and nightlife at your leisure. Classic Excursion: Enjoy a guided city sightseeing, including the iconic Heroes’ Square. Your holiday ends with breakfast this morning. Disembark and transfer to the airport for your flight to the UK. Buffet breakfast at Prague hotel.